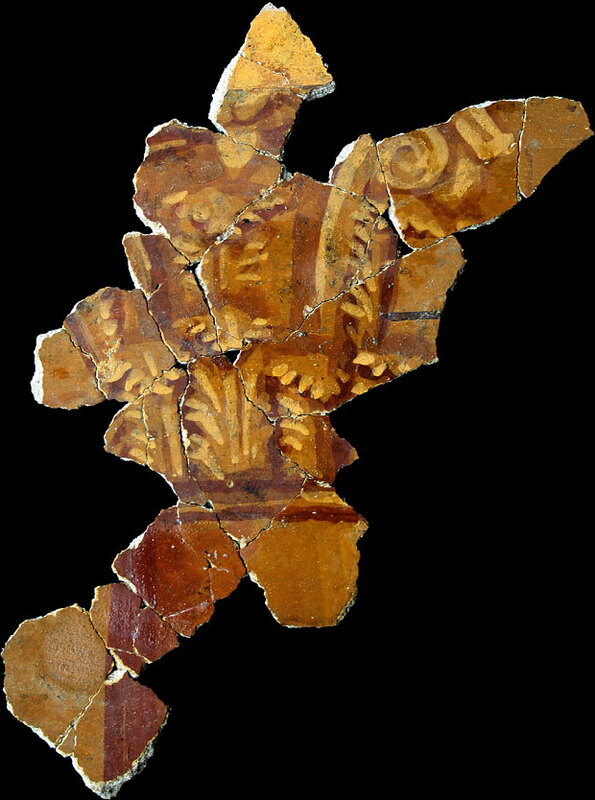 and this rather fabulous, freely-painted fragment of a Corinthian capital. 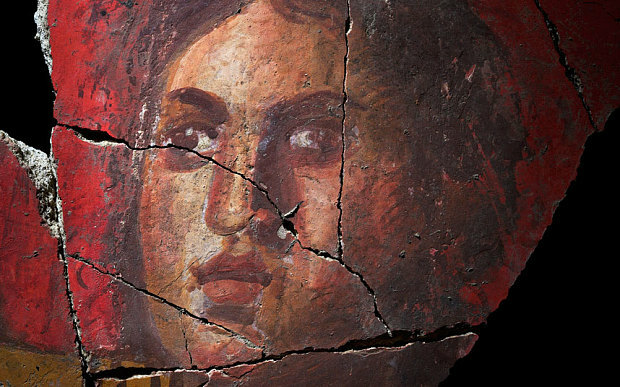 It will take years of exciting work to piece them all together again, but they promise to be the most important discovery in Roman painting since the Villa of the Mysteries at Pompeii. Like King Richard III they were discovered beneath a car-park, but this is not such a remarkable coincidence. Car-parks are laid out without deep foundations, and likely to be archaeologically virgin territory. 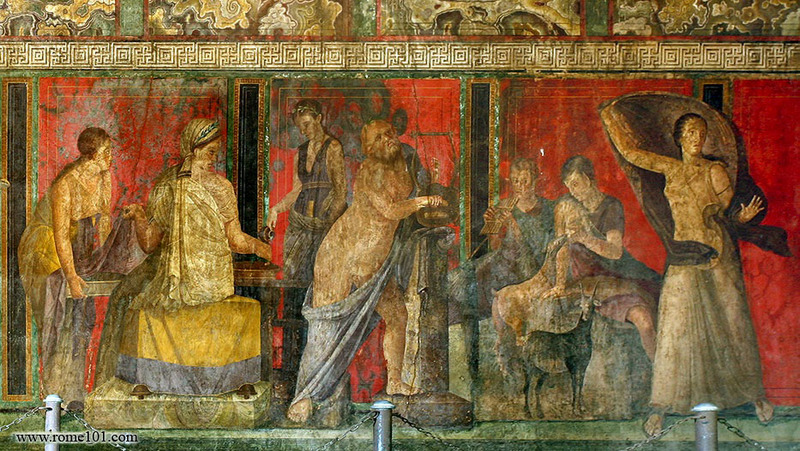 The richness of Roman painting is quite stunning – the frescos were painted in tempera on fresh plaster, polished with wax and treated with powdered glass and marble powder to give the distinctive sheen. The modernity of some Roman painting is extraordinary. There’s a mural in the crypt of York Minster which I saw thirty years ago, and I remember being amazed at how contemporary it looked, with a scene showing a huge, broadly-painted face gaping over the top of a wall. There isn’t an image of it online, which is a pity, as it made a real impression on me. The lyre-player at Arles reminded me of the Roman Period mummy portraits from the Fayum region in Egypt. They are different in technique – usually painted in a technique called encaustic, pigment mixed in with beeswax to give a rich, textured effect like oil paint – but the bold characterisation and three-dimensionalty are very similar. 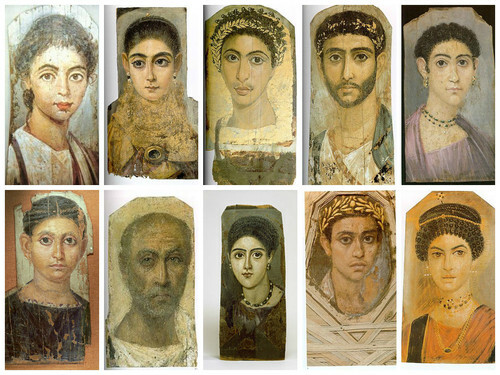 The Fayum portraits date from the 1st to the 3rd Centuries AD. Egypt by then was part of the Roman Empire. Before that it had been ruled by Egyptianised Greeks, the Ptolemies, and the fusion of cultures overlaid on traditional Egyptian burial customs produced some of the most remarkable art in history. 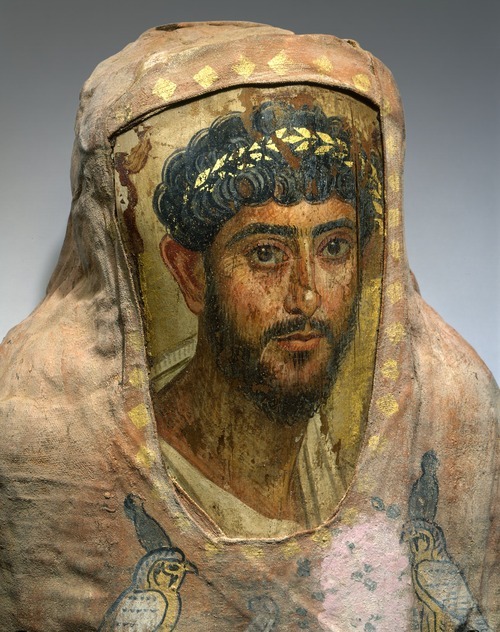 Instead of the traditional carved and gilded mask of Dynastic Egypt, these Coptic mummies were overlaid with painted panel portraits. Sometimes the artists used tempera, dry-painted onto stiffened linen. The graphic technique used by the artist who painted the portrait of a woman called Alini in 24AD reminds me of Van Gogh, and the same hatched shading can be seen in the Arles lyre-player. 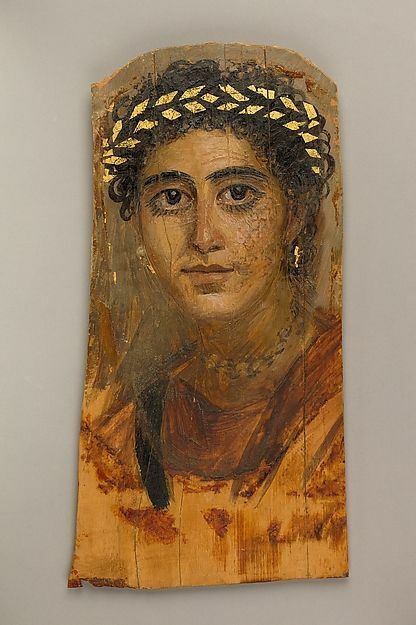 The Fayum portraits are only the surviving iceberg tip of ancient panel painting, a highly-regarded but largely lost genre, whose last flowering is Byzantine icon painting. 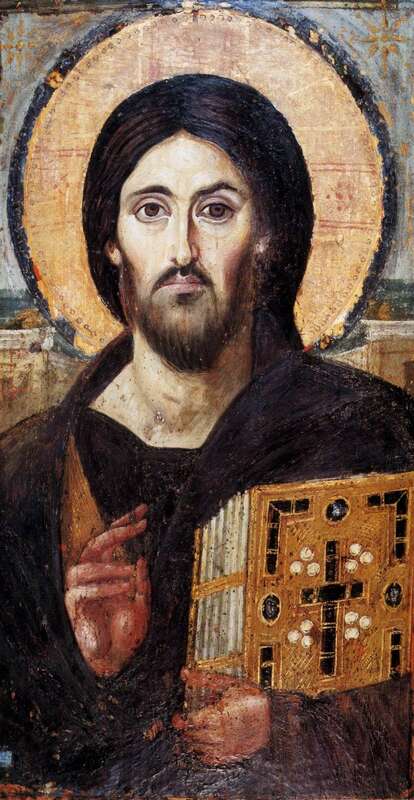 The famous encaustic-painted icon of Christ Pantocrator, Christ Ruler-of-all, in St Catherine’s Monastery in Sinai is their direct descendant, and only a couple of hundred years later in date. Despite their sense of life and presence, these portraits must have been painted posthumously, and there is debate over whether they were ‘true’ portraits, or whether appropriate features were added to pre-prepared facial types in the artist’s studio. If so, archaeologists have yet to unearth a set of workshop ‘blanks’. 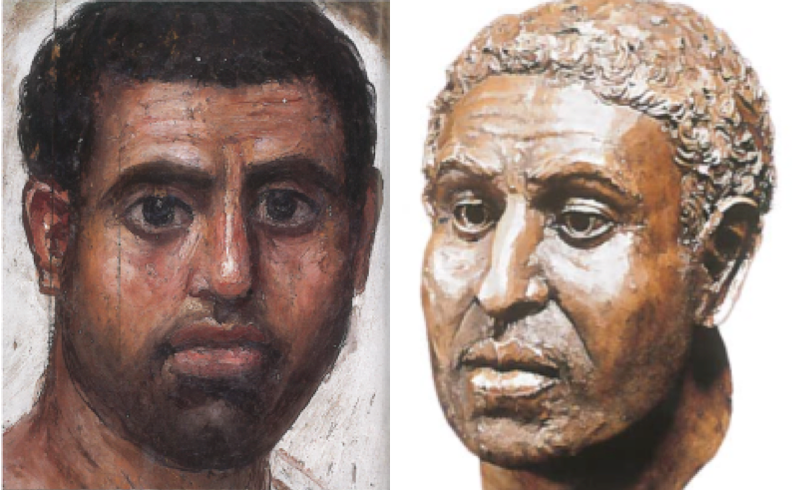 In one case at least, the sitter’s face has been reconstructed from his skull – a process not without the usual caveats – and the result shows that the Fayum artists could achieve a good likeness. 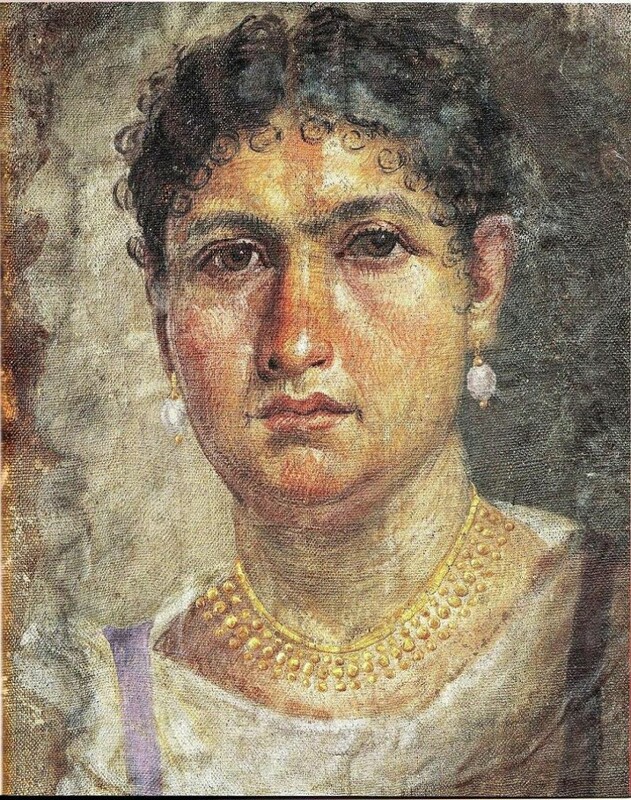 There’s an excellent selection of a hundred or so of the Fayum portraits viewable on google here. Now that the Eastern Mediterranean is all over the news and for all the wrong reasons, there’s something especially poignant about these images, portraits of familiar people in happier times. Fascinating posting. Your breadth of knowledge never ceases to amaze me.